Things around Arura to enjoy! Situated just 4 kilometres from the heritage town of Moonta and an easy walk to the Port Hughes beaches, jetty, tavern and store the Arura – Yorke Peninusula Group Accommodation and Function Centre is a great place for your large group functions such as schools, family camps, church or social groups, low cost conferences, trade shows, training camps, retreats, workshops and functions. 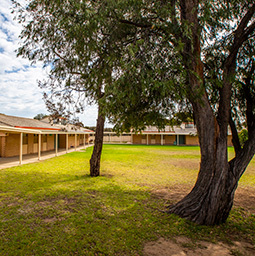 Arura Camps features functional buildings with a very well equipped commercial grade kitchen and dining room. It is suitable for groups from 30 to 112 and can be self-catered or catered. Groups can use the site for all their activities or as a base to use community venues and is an easy 2 hour drive from Adelaide. Arura is situated on 7 acres (3 hectares) of land and has a large open grassed area enclosed by buildings on 3 sides. It is suitable for all kinds of ball games for adventurous children (and adults). With no overhead power lines, kite flying can be enjoyed along with a myriad of other experiences. There is also a large activities shed with space for indoor sports such as volleyball, badminton and table tennis, making it ideal in very hot or cold, rainy weather. 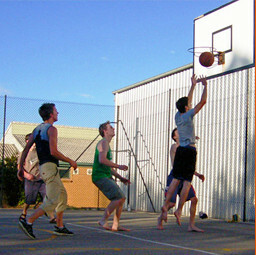 A basketball/tennis court can be used both day and night. 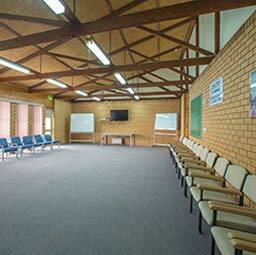 Arura Group Stays is a wonderful way to experience group accommodation options only 2 hours from Adelaide. 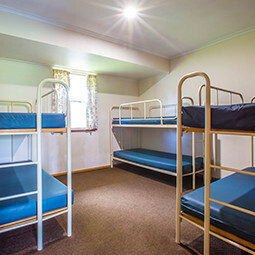 Whether its school camps, social groups, corporate gatherings or pleasure, we're able to support your group accommodation needs in South Australia. Close to Moonta, Clare Valley and Adelaide makes Arura Group Stays the affordable and easy option for your next Yorke Peninsula group accommodation experience.